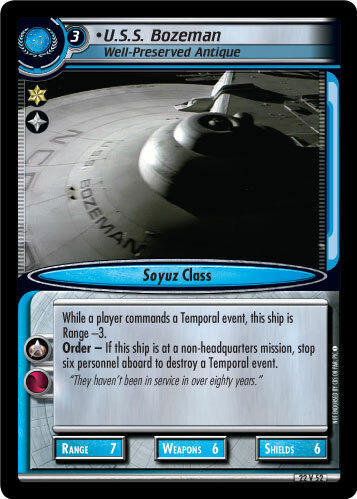 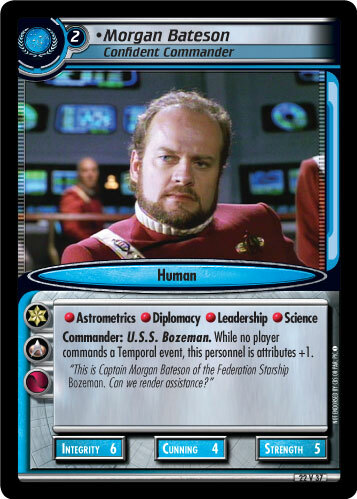 While a player commands a Temporal event, this ship is Range -3. 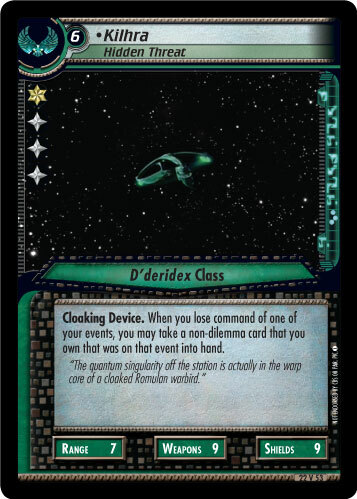 Order - If this ship is at a non-headquarters mission, stop six personnel aboard to destroy a Temporal event. 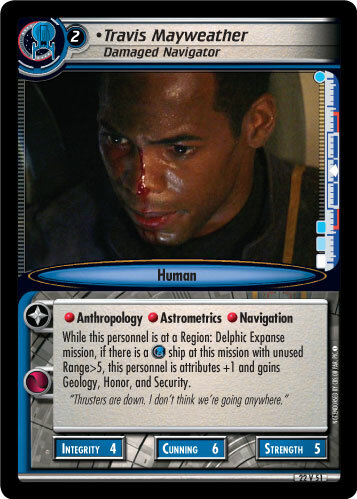 "They haven't been in service in over eighty years."